The moment had finally arrived. Hundreds of millions of Indians – and indeed cricket fans the world over – had waited for more than a year for Sachin Tendulkar to get one more ton and reach his 100th international century. It happened on March 16, against Bangladesh, in the Asia Cup. The entire country seemed to take to its feet to hail the man who has achieved everything a cricketer could ask for. Some argue that it would have been better if that 100th century had come in last year’s World Cup, or against a stronger team, like Australia or England. But that shouldn’t detract from the achievements of a man who has set a bar that will likely to take years to clear, if anyone can at all. But now a question looms: Should he retire from one day internationals (ODI)? Within India, there are conflicting views in response to this question. Some say Sachin should keep going as long as feels he can.But the point to me seems not whether he should carry on – it’s whether he should carry on the way he has been doing the past couple of years, namely picking and choosing which one day games he wants to play in. Since the start of 2010, Sachin has played just five ODI series, including the 2011 World Cup and the ongoing Asia Cup. This means that aside from these major events, he has played just three tournaments in the span of two years. Whenever he decides to “rest” for a series, a youngster is picked to replace him. And when he decides to return, that same youngster is shown the door. Take the example of 23-year-old Ajinkya Rahane. He scored a couple of impressive half centuries and a couple of 40s against England in the 11 matches that he played for India in 2011. Yet he was unceremoniously axed from the squad that went to Australia to compete in the Tri-Series. Why? Because Sachin had decided to stroll into the series straight after the World Cup, following a gap of almost a year. He averaged 20 in that series. Promising players like Rohit Sharma and Manoj Tiwary, meanwhile, have been in and out of the squad for the same reason. All this is particularly surprising considering the Indian selectors have been making such a fuss about looking to the future. It certainly doesn’t look that way. Sachin recently told the media that it would be selfish to retire when he’s on top. But is it not even more selfish to keep a youngster out of the team when you’re in the twilight of your career? Look at Rahul Dravid. He recently retired from test cricket, despite clearly having some quality matches left in him. Why? Because he didn’t want to stop promising young players getting their chance at a consistent run of games. Isn’t it time Sachin thought along similar lines for ODIs? If anything, taking a step back from the shorter format would help him concentrate more on test cricket, where India is entering a transitional phase and needs someone like Sachin to guide the team. It would have been a perfect moment – Sachin retiring from ODIs after lifting the much treasured World Cup, something that he wanted badly to achieve before quitting the game. Sachin deserves such an exit. He deserves a grand farewell. He deserves something special. 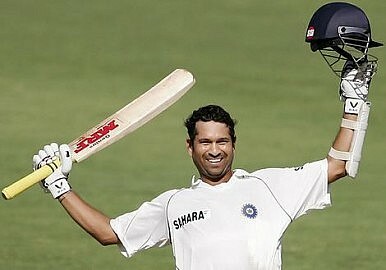 And now that he has got his 100th ton, it’s time to think about a gracious exit from the shorter version of the game. After all, as the saying goes, it’s better to retire when people ask why, rather than why not? Rutvick Mehta is a trainee journalist at the Indian Institute of Journalism and New Media in Bangalore. 2013: A Big Year for Asia-Pacific SportsIs Father Time Catching up to Sachin Tendulkar?Bangladesh Eyes More TestsIndian Cricket in TroubleCan Australia Get Back on Top?